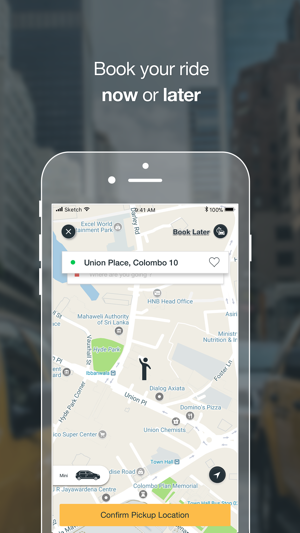 PickMe is the #1 transportation hailing platform for the Western Province of Sri Lanka with more and more of the island being covered every day. 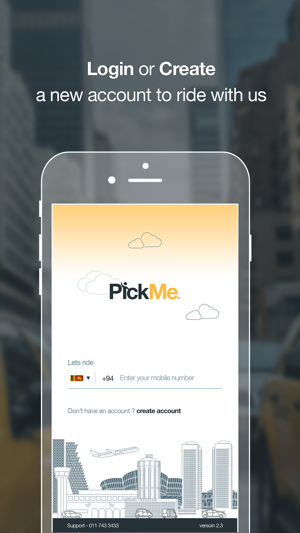 Whether you need one of Sri Lanka’s signature three-wheelers, a luxury car to impress, to anything in between, PickMe will get you where you need to go safely and comfortably with just a few taps on your phone. 3. Select what kind of vehicle (Tuk, Nano, Mini, Sedan, Van) you want for your ride. An estimated time of arrival is also displayed to help you decide which kind of vehicle can pick you up the soonest. In this update, PickMe is introducing a new modern design revamp for the hailing screens. Update now to experience the new design! 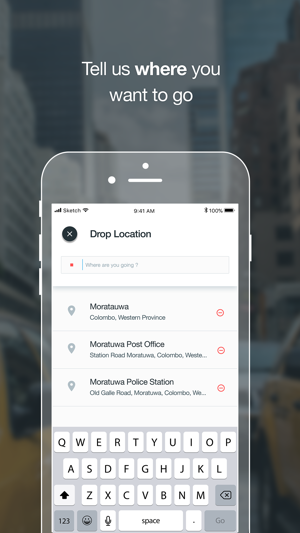 PickMe now shows you suggested locations when you're about to enter your drop-location, for a more faster and convenient experience. With this update, the fare you'll have to pay for every ride will be a flat fee, rather than an estimation. We've also tweaked a few nuts and bolts under the hood to fix bugs and improve the overall experience. Update now to enjoy the new PickMe! Happy riding! Taxi meter is only as honest as your drivers route! I used this app and thought it was great. For short stints or if you know where you are going it would be fine. The prices greatly undercut my best bartering with tuktuk drivers. My last and final trip with Pickme gave me insight as to why this app is not worth using and why I will just use Uber in the future. It makes you vulnerable to preying drivers- our driver took us on a wild goose chase into the middle of no where. My wife was terrified and I was unnerved. The driver refused to communicate with us beyond a cheeky grin when I had him pull over. We would have got out but we were literally in the jungle at that point. All said and done a 45 minute right to a hotel near the airport took two hours and cost double the price. We called Pickme and they said to pay him and file a claim. So we did. Now they will only refund us in Pickme credits which will expire and we have left the country. Decent concept with zero accountability. For barely more money just use Uber and enjoy a seatbelt. Excellent app and service. Used it a ton getting around Colombo area and found it to be a great value every time. 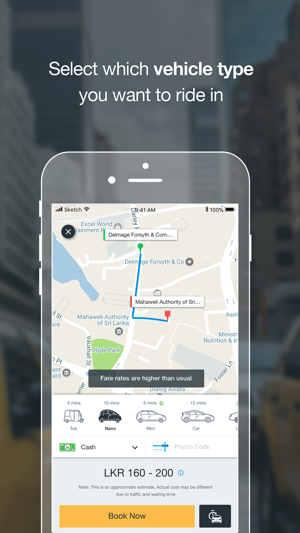 This app has vans and other options like tuk tuks that Uber doesn’t have. I travelled with six so mostly needed vans but also did a few cars and tuk tuks. 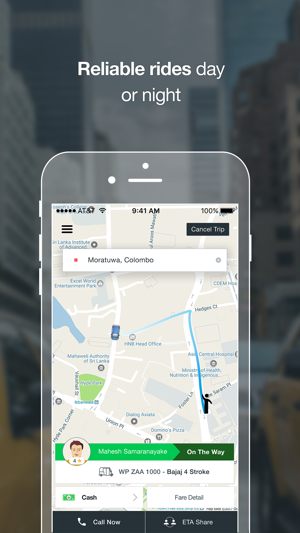 Highly recommend using this app if you’re looking to get around Sri Lanka.